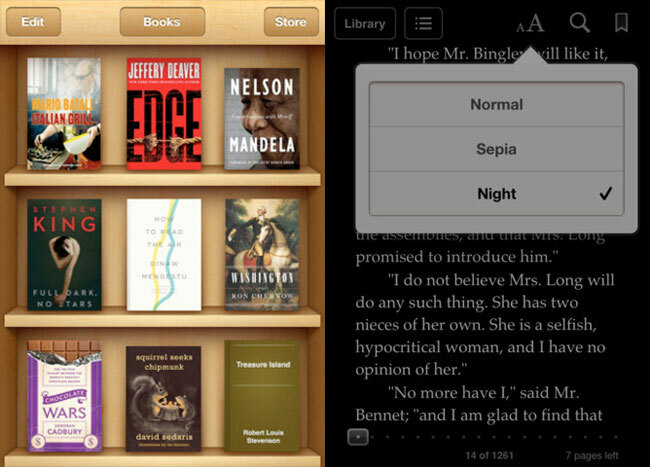 Apple has updated its iBooks app for the iPhone, iPad, and iPod Touch. This update adds many new features, including a full-screen mode, and a new nighttime reading theme that is designed to make it easier to read books in the dark. In addition to those features, other smaller features include a new range of fonts, some new classic covers for the public domain books, and a redesigned annotation palette. 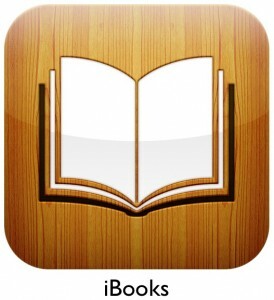 It has been a while since Apple has released a major update to iBooks, and version 1.5 fixes a lot of issues and bugs. • Nighttime reading theme makes reading books in the dark easier on the eyes. • Full-screen layout lets you focus on the words without distraction. • iBooks now features an improved selection of fonts, including Athelas, Charter, Iowan, and Seravek. • Beautiful new classic covers for public domain books. • A redesigned annotation palette makes it easier to choose a color for your highlighted text. You can download iBooks 1.5 in the App Store for free.